One presumption of television shows like Ancient Aliens and books like Chariots of the Gods is that ancient people—particularly non-western people—couldn’t possibly have constructed the elaborate infrastructure and monumental architecture and statuary they did without the help of extra-terrestrials. The idea is intriguing, giving us the hugely ambitious sci-fi fantasies woven into Ridley Scott’s revived Alien franchise. It is also insulting in its level of disbelief about the capabilities of ancient Egyptians, Mesopotamians, South Americans, South Sea Islanders, etc. 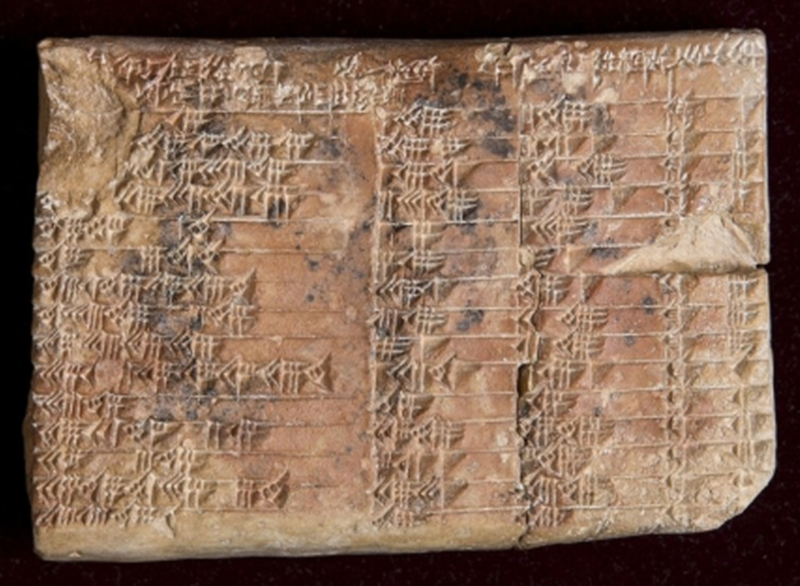 In a paper published in Historia Mathematica the two conclude that Plimpton 322’s Babylonian creators detailed a “novel kind of trigonometry,” 1000 years before Pythagoras and Greek astronomer Hipparchus, who has typically received credit for trigonometry’s discovery. In the video above, Mansfield introduces the unique properties of this “scientific marvel of the ancient world," an enigma that has “puzzled mathematicians,” he writes in his article, “for more than 70 years.” Mansfield is confident that his research will fundamentally change the way we understand scientific history. He may be overly optimistic about the cultural forces that shape historical narratives, and he is not without his scholarly critics either. Whatever its ancient use, Mansfield thinks the tablet “has great relevance for our modern world… practical applications in surveying, computer graphics and education.” Given the possibilities, Plimpton 322 might serve as “a rare example of the ancient world teaching us something new,” should we choose to learn it. That knowledge probably did not originate in outer space. Our society today cannot have a conversation without getting extremely politically correct. This only accomplishes shutting down dialogue and suppressing information. Him, How is trigonometry extremely politically correct? And what’s wrong with having respect for fellow human beings anyway? It actually enables all people to communicate and work together amicably and roductively which has to be better than the alternative.